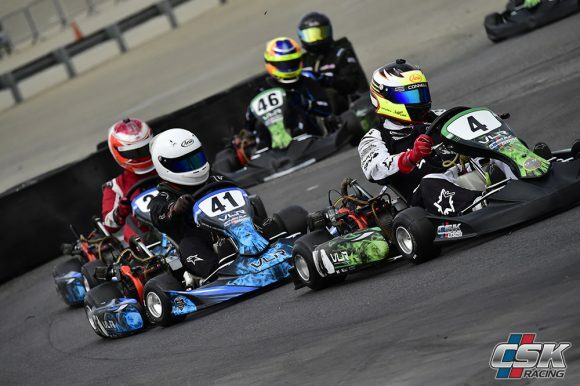 The final round for the Tri-C Karters 2018 season is this weekend, and with it, the conclusion of CSK Racing’s second season as a team. The reigning champs for all three adult 206 classes came into 2018 with a lot of momentum, but still looking to continue to learn and improve as a group, bringing even more new drivers into the fold. Now on the eve of the final race for 2018, the Masters Championship has already been decided, while they have drivers in striking distance for both the Senior and Spec categories. Team principal and new Masters 206 champion Mike Smith will be sitting out this weekend’s events, instead putting even more emphasis on the rest of the team. In the VLR Spec 206 category, it’s a familiar face at the sharp end once again as the season nears its end, with Mark Connell leading the points heading into the Season Finale. 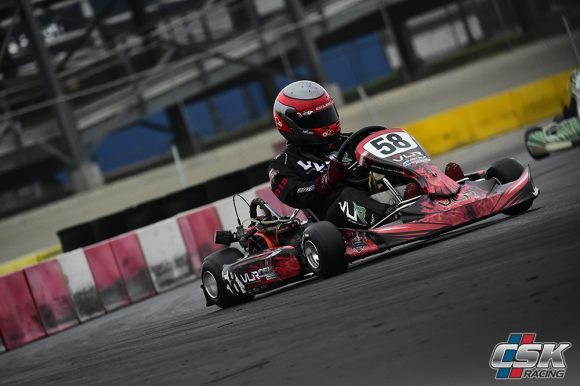 This time, however, the margin is a bit healthier than the mere three markers he had in 2017, carrying an 89-point advantage over stablemate and first-year driver TJ Blackledge. Like he was last year, Connell’s consistency from round to round has kept him atop the standings for most of the season, leading the class in heat race wins and overall podiums. Blackledge has kept the pressure on, however, picking up three main wins to lead the category, and could have had at least one more if it wasn’t for some bad luck. While both drivers are clear of third, and it will be a two horse race for the championship, it will absolutely be a dogfight for the round #8 win on Saturday. These two protagonists are joined by a host of challengers for that final win of the season, many of whom are under the same CSK Racing tent. Lukas Dziemidok and Sean Bradley continue their fight from the Masters class and currently sit 3rd and 4th respectively, but there are also the likes of Adam Nagao and Jose da Silva putting the pressure on. There are certainly two battles going on tomorrow; one for the championship, and one for the overall win! And as is customary at the end of the Tri-C season, the awards banquet will be held on the grid immediately following the day’s racing, honoring both the Round #8 winners and Season Champions. 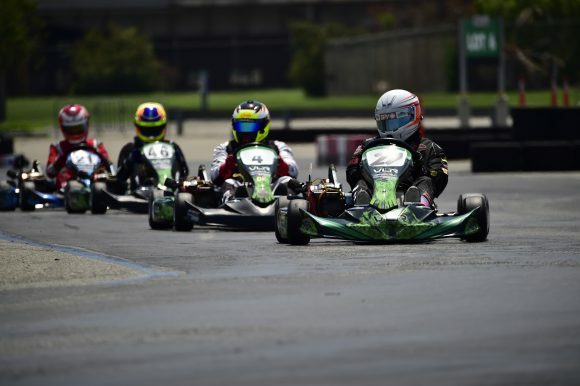 All of us at CSK Racing are looking forward to the event, and putting a cap on what has been an awesome second season of racing for us at Tri-C Karters! Good luck to everyone, and we’ll see you at the track!